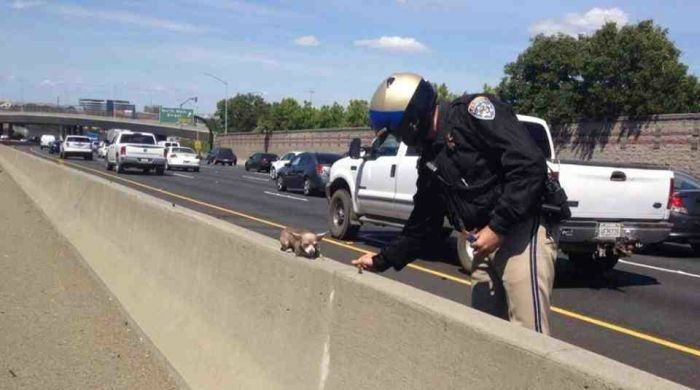 The California Highway Patrol tweeted this photo of this adorable little dog that got lost on the highway. Thanks to them, he got home safe. This is the Tweet that went out today from CHP Contra Costa. And here’s the adorable, yet scary photo. Thankfully the officer found this little cutie before anything terrible happened. Good going to spot such a tiny dog, and well done for taking the time at some risk to rescue it. As of course i feel for the dog and glad it got the attention it needed but unfortunetly if a human was spotted looking just as low most people would have just walked by.